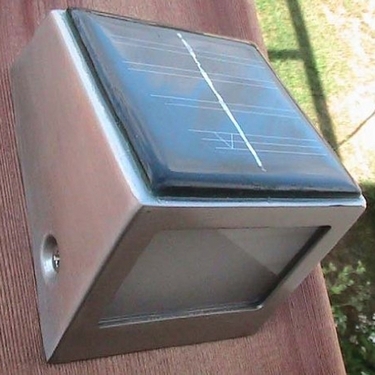 This easy-to-install, wireless compact Solar Wedge Light is for stairs, deck posts, fence posts, mailboxes, and address signs. Add one to your entryway, or anywhere a little extra light is needed. Most popularly used as step lights. Made of stainless steel with a frosted glass pane, each wedge contains 2 Super Bright LED lights which project 4 feet. Powered by an integrated solar panel to operate without incurring additional expenses on your electric bills, automatically lights up at night and collects solar energy during the day. Completely wireless for an easy do-it-yourself installation.